Note: Product is restricted for purchase in California by the manufacturer. 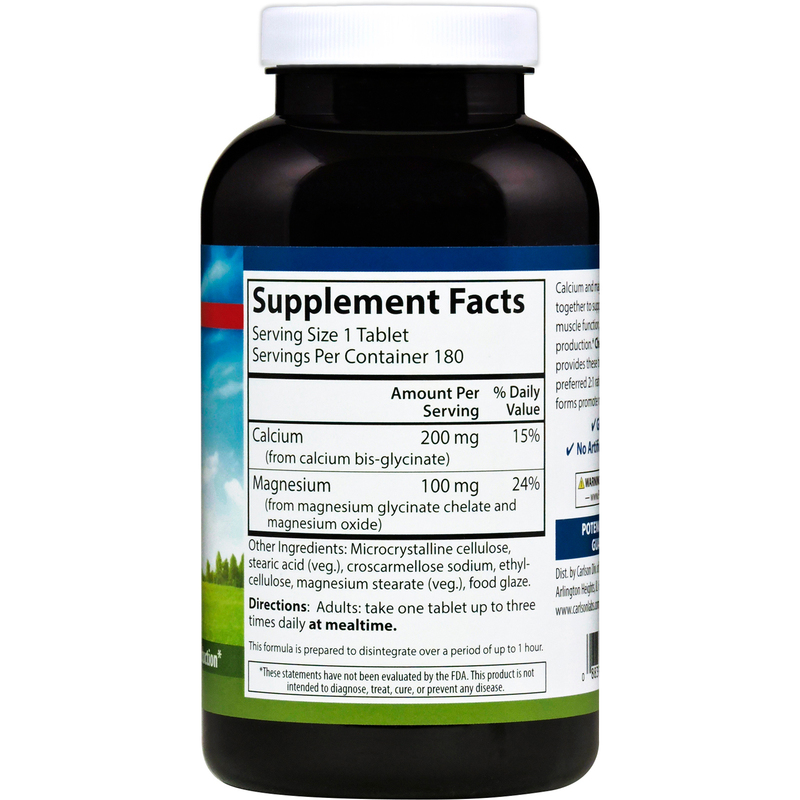 Calcium and magnesium work closely together to support bone health, muscle function, and natural energy production. 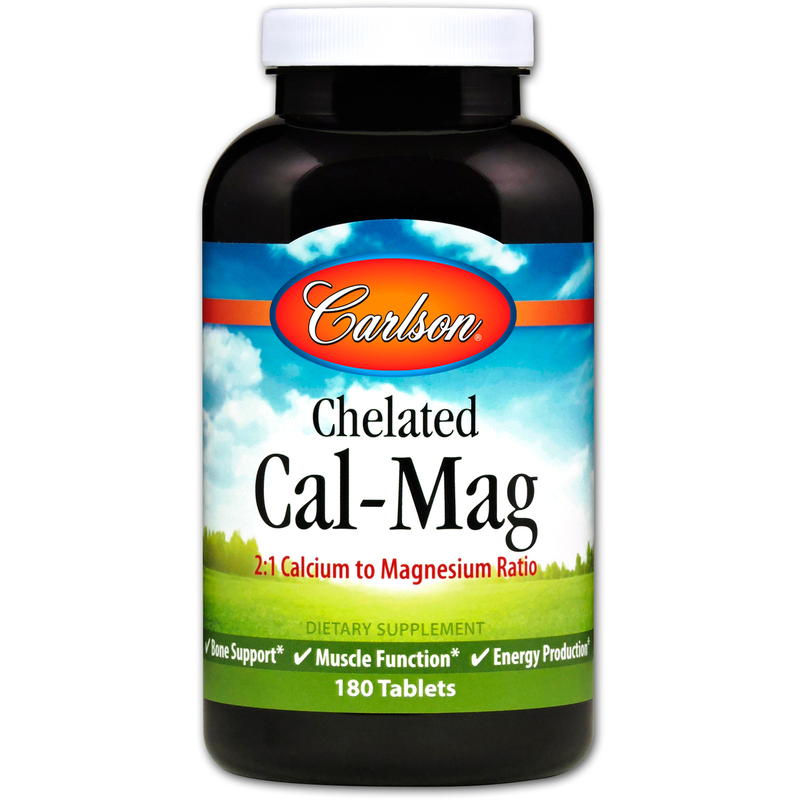 Chelated Cal-Mag provides these two minerals in the preferred 2:1 ratio, and their chelated forms promote maximum absorption. Adults: take one tablet up to three times daily at mealtime. Microcrystalline cellulose, stearic acid (veg. 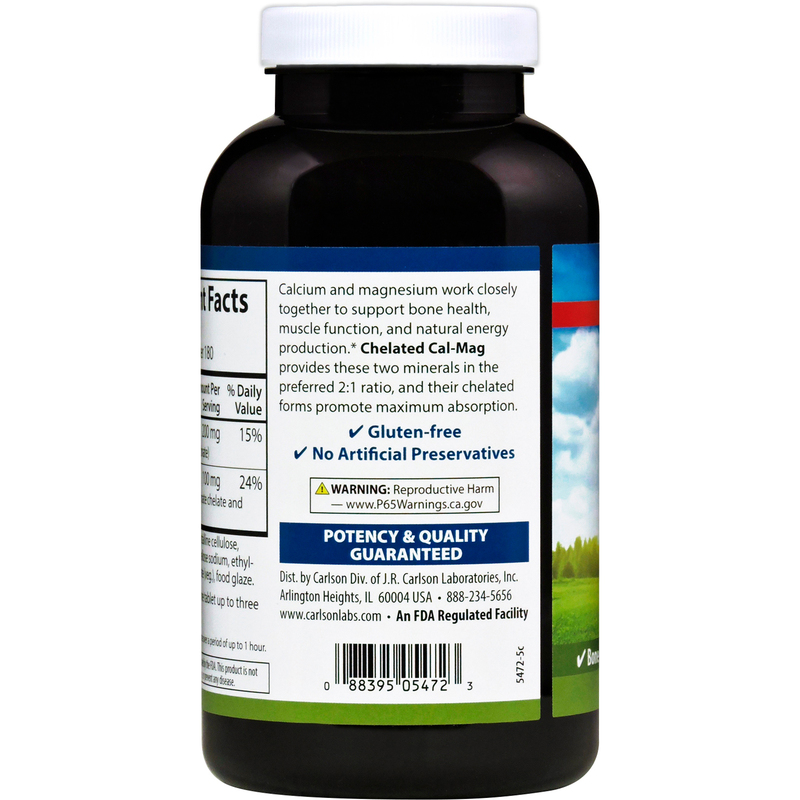 ), croscarmellose sodium, ethylcellulose, magnesium stearate (veg. ), food glaze.